Facial massage therapy is a popular beauty treatment that gives your skin a fresh, younger and healthier look and you feel comfortable. It is the best way to grow your skin and relieve tension and stress from facial muscles. 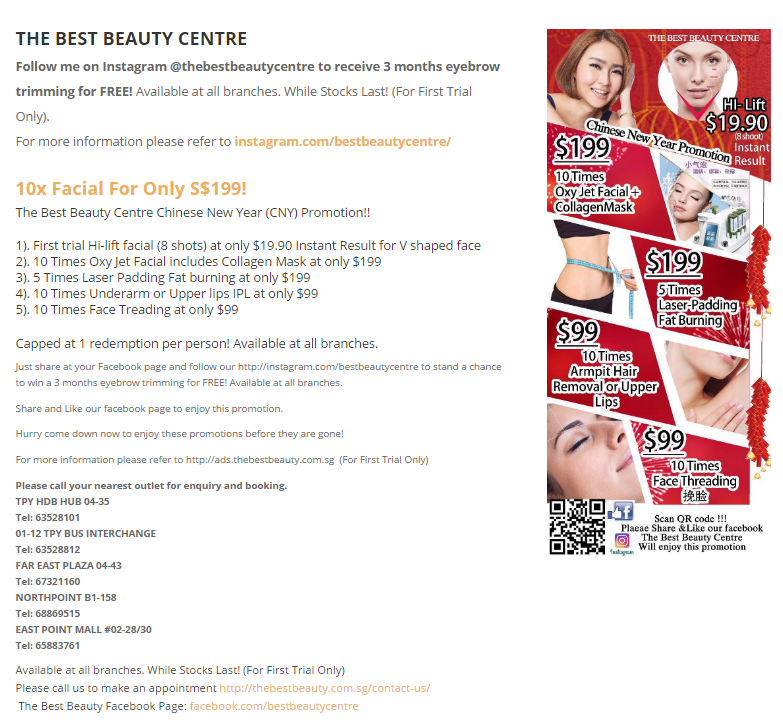 The Best Beauty offers the Lifting Facial Massage in Singapore to their customers at the affordable price. Our massage instantly relieves tension from your skin and you feel calm and relax. This treatment is continued about half an hour. We have experience and professional experts who apply the best quality cleanser on your face and you feel entire relaxation during and after the massage process. No one born with perfect eyebrows. 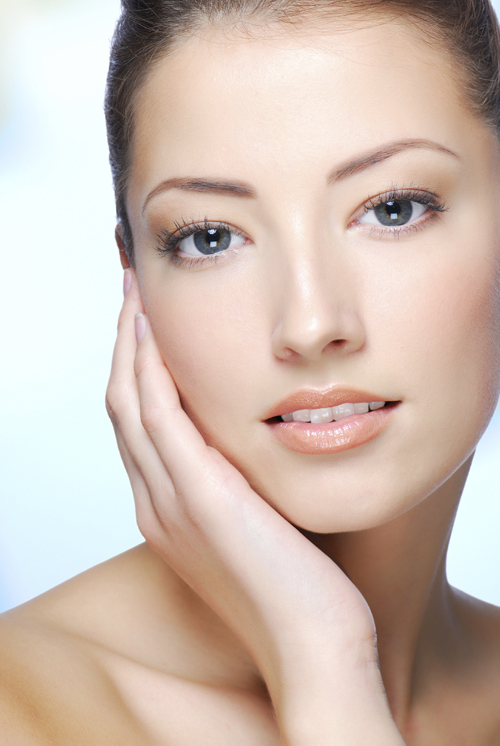 The appealing eyebrows play an important role in facial beauty. There are so many methods that are being used in the salon to give a new attractive look. Creative Eyebrow Embroidery in Singapore is the latest technique that is used to give your brow a significant and attractive appearance. Properly shaped eyebrows bring out the best features of your face and your eyes. Applying the Golden Ratio, The Best Beauty customises the most suitable eyebrow for you. The process mimics real eyebrows and the result is long-lasting and natural-looking. At The Best Beauty, our eyebrow specialists will analyze your facial shape and features to customize a look that brings out your best features. Our specialists will begin work after you are completely satisfied with the look. Using our BB Soft Touch technique, colour will be placed just under the epidermis with the use of a handheld micropen. This technique uses Korean-engineered Micropen and a blend of hairstroke technique and soft colouring. It has been perfected to give the impression of ultra fine hair strokes, simulating the look of real hair. Where necessary it’ll be combined with soft shading to create beautiful natural brows. The process takes about an hour to complete. Our skilled and gentle eyebrow specialists will ensure that you are comfortable throughout the entire process. Characteristics: Square, vertical blue, large, thick, every lasting. Technique: Using tattoo machine to do the dermis of skin. Technique: Using special technique to fill up the brow with full colour. Features: Based on eyebrow growing to do the lines design, no pain and swelling. Color: The colour closer to hair colour and durability will not turn red. Technique: Use ultra-thin materials, the natural curvature. Features: Hand finer, smoother scheduling methods, tools, also improved the results come out will be more realistic to achieve the perfect, making more three-dimensional for features. Technique: Double lines arranged to create three-dimensional effect of the eyebrows. Features: Durable, follow the direction of eyebrow and desgin, the latest technology, more delicate lines and natural durability, combined effect, look more realistic. Color: Imported colour milk, powder, color, is more advanced. *After 1st year, customers are entitled to enjoy member prices for eyebrow touch ups. Light up the world with your smile. Rosy lips add a dash of colour that brightens up the entire face. Using the BB Soft Touch technique, a flattering, semi-permanent lip colour will be gently filled in, giving you the smile that you’ve always dreamed of. Healthy-looking lips bestow the bloom of youth. Rosy lips add a dash of colour that brightens up the entire face. Your skin tone, age and personal preference all come into play when custom-blending the ideal lip colour. Uneven lip colour, lips that are too pale or too dark can all be corrected. Sick of shaving every morning? Irritated by the five o’ clock shadow that appears by the time you end work and on the way to that hot date of yours? The Best Beauty offers hair removal services for men. We use advanced technology to deliver permanent results. You can also be assured of the highest standards – from safety to service. According to a recent consumer study, 69% of people feel more confident when they remove body hair. Traditional shaving and trimming, however, is all too often associated with irritated skin, unsightly stubble and results that don’t last that long. The Best Beauty offers hair removal services for both men and women. We use advanced hair removal technology to deliver permanent results. You can also be assured of the highest standards – from safety to service. Applicable to any part of the body, the follicles are destroyed at the root, leaving you with smooth, hair-free skin. In the present-day society, it is not just the women that have to look good, but men as well. The Best Beauty provides a comfortable, private environment for your treatments. The Best Beauty Centre provides a full range of solutions for all different skin types. Our skin specialists will advise you on the best treatment based on your skin type. Call us now for a free consultation. Frequent routine trips to your eyebrow trimming beautician is now a thing of the past. With The Best Beauty’s BB eyebrow embroidery for men, your perfected shaped eyebrow can now easily last 2 to 3 years with minimal care. Now you can look your best with kempt brows without any hassle. Eyebrow embroidery stands out your facial features and creates a natural look with minimal effort. Eyebrow embroidery enhances facial appearances without the need for traditional makeup application. Eyebrow embroidery is also more natural than a tattoo. 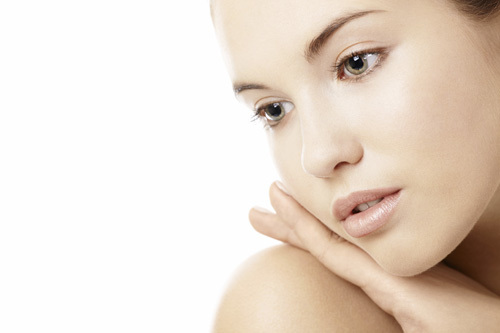 Radio frequency (RF) treatments are used to tone and tighten the skin, resulting in youthful-looking skin. You will see instant improvement after the treatment! RF treatments penetrate deep through the sub-dermal and dermal layers to stimulate collagen and tissues of the skin. After about a week and several treatment sessions later, collagen regeneration will occur with further tightening of the dermal tissue and wrinkle reduction. Guasha is a centuries-old Chinese wellness technique. It helps you to attain a brighter, more radiant and healthier skin. After our guasha treatment, you will find that your skin is more supple and smoother. Your blood circulation is improved, making you feel more energetic. Stress is a common problem in Singapore’s fast-paced society. Problem is, all-so-often, it shows on our faces – wrinkles, pimples, blemishes, pigmentation. Let The Best Beauty help you alleviate these marks of stress and time, leaving you looking fresh and revitalized. Intense Pulsed Light (IPL) is a painless therapy used to gradually reduce Telangiectases (fine facial blood vessels), freckles, age spots and erythema. Contrary to common beliefs, IPL therapy does not use a laser, but utilises a broad band of intense light of multiple wavelengths that are customised to reach the melanin and haemoglobin. The light is delivered in short flashes and precisely timed to heat up the target to the right temperature without damaging the surrounding tissue. The micro-roller facial help to soften fine lines and wrinkles, tightening and improving the elasticity of the skin, and reducing acne scarring, minor scarring, pigmentation marks and dilated blood vessels. The micro-roller applicator aids in the penetration of vitamins into the active layers of the skin, increasing the effectiveness of skin products. The micro-channels created also stimulate the skin to produce more collagen.